Recent tropo openings this past week brought in more new FM & TV stations. In the early morning hours of July 11, all Norfolk major TV signals were in, including WNLO-CD 45 and Lancaster, PA’s WGAL 8 for the first time. Although FM wasn’t as strong as TV, I managed to get new log 101.1 WYMY from the Raleigh, NC area in over local WWDC. 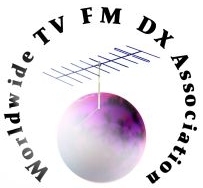 DTV decodes from WMJF-CD 39 from Baltimore and WNJT 43 from New Jersey were also received for the first time on July 13. The prize of the openings was the unlikely log of 99.9 W260BW on July 13. 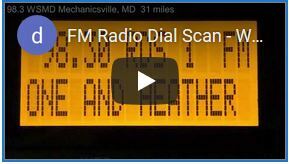 99.9 is a frequency always dominated by regional blowtorch signals 99.9 WFRE (59 miles), 99.9 WWFG (116 miles), so it was shocking to get anything else on 99.9, especially a weak 80-watt signal at 150 miles away. My TV Screenshots, DX log, and Audio pages have been updated with these new stations.